Wovens… Yep – its pretty much a dirty ‘W’ word for me. Knits are my peanut butter and JAM, but when I am faced with changing out my stretch needles for universals, and have to add interfacing and darts and proper hems to garments – it’s enough to make me want to grab my nearest knit and make a simple tee shirt! In this case, I was sooo intrigued by Kennis Wong’s take on both a button down (or up?) peplum top and shirtdress combo, and was drooling over every detail. From the proper collar, to the swing skirt of the dress to the gathered sleeve – and who can miss the gathered bust darts?!?! SWOON! If you, too, admire all things buttoned and proper, but are worried about collars and construction – this is the perfect pattern to dip your toe (or, for the veterans, fully immerse yourself) into. Yep, alls I’m saying are two words: “HOT MESS.” LAWD – that collar and those cuffs, and those buttons – and the uneven sleeve widths – I mean – I could go on, but I think a picture is worth a thousand words – and I was appropriately scared! Well – of COURSE the answer is never fear!! When Kennis put out a tester call for this shirt and dress – I just KNEW it would be the kick in the rump that I needed to push through. As a tester – we would have 1.5 weeks to both sew up a muslin for fit, and then complete a final version to share. I knew that within 2 weeks time I would have a new top to add to my wardrobe – and would have learned a trick or two along the way! I mean, what more can you ask for? 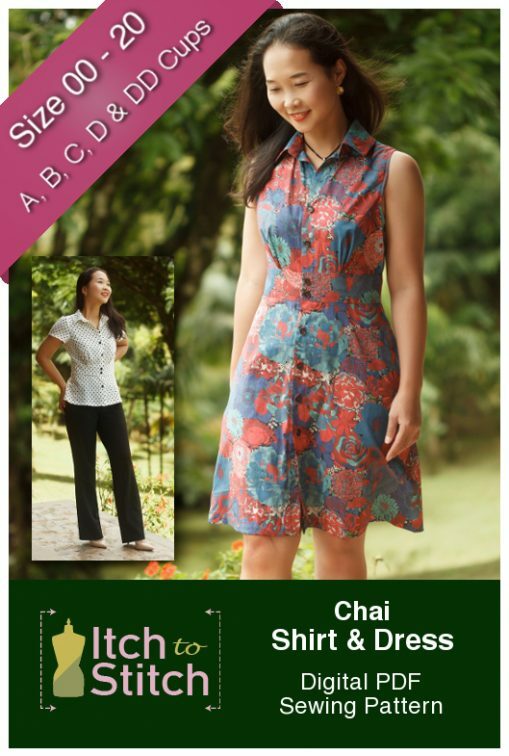 Clear instructions, cup sizes (which minimizes the number of adjustments you need to do on your garment), POCKETS? I mean seriously – if a design doesn’t already have pockets, I’m usually trying to figure out how to add them, so its nice that Kennis has done all the hard work for you! Muslin once and cut twice? I started with a muslin (which I intend to finish and will likely share on instagram (and maybe update this post) out of quilting cotton. Seeing the garment sewn up by my fellow testers, I figured I might not need to take 0.5″ out of the armscye level across my bodice front and back pieces (see My Pattern Adjustments for my sizing), as the armhole offered good bra coverage already, and I didn’t want to start with something that might be too small from the beginning. I knew, based on my standard adjustments, that I would still need to take 1.5″ off at my waist though, and in my muslin I took the whole thing from my bodice at the lengthen/shorten line. After evaluating the muslin, we realized that the dimensions would work better for me to split that amount between the waistband and the bodice (keep in mind though – shortening the bodice at the waistband means you has less room for the two recommended buttons – you may need to just add one depending on how much you take out). I sewed up a size 2 C-cup, blended to a 4 at the waist, but it turns out I only needed to keep the extra room in the front of the waistband and not the back (so my final is a 2 everywhere except the front waistband). Its quite the learning for me, because I thought I needed a swayback adjustment – but in this top, all I needed was to size down the back (mind BLOWN). This fabric is a little tricky because it was completely off grain after washing/drying it (I never follow the fabric care directions so there’s that), AND the stretch meant I had to do more staystitching and interfacing than I would like to otherwise. I have a couple shirtings here that I am reserving to make more versions – as soon as I have more TIME (ugh, the one thing we NEVER have enough of… Well, that and money too, haha). Self made bias tape to the rescue! 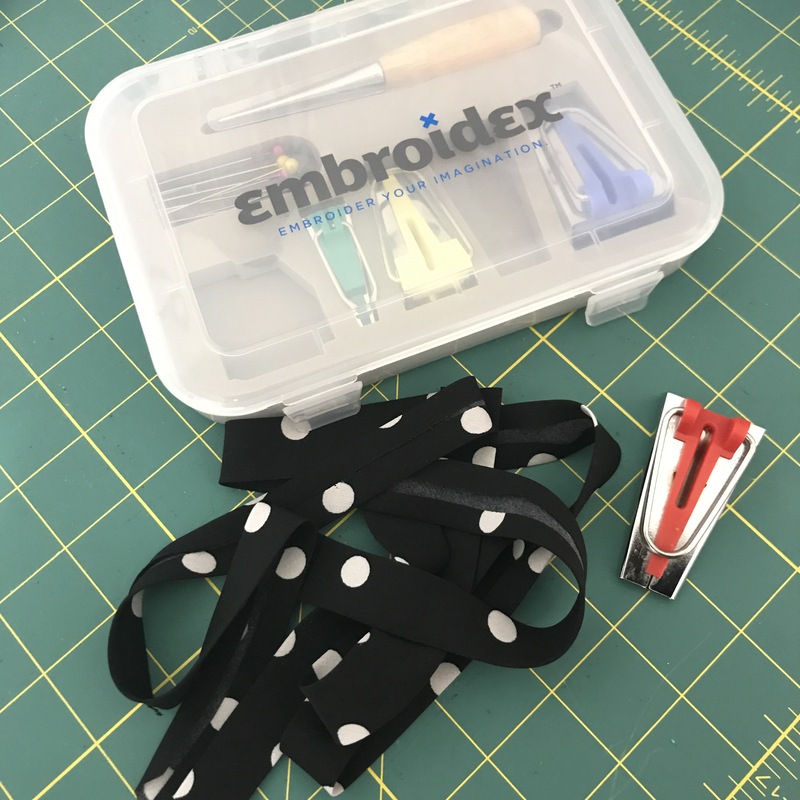 For my armholes, I made my own bias tape (well, I had some strips left over from the black and white polka dot fabric from a previous Itch to Stitch make – my vienna tank), and using her technique worked great for adding it in. Seriously people, grading your seams is time consuming, but so worth it when you get your armholes to lay flat. Given my status as a mom – it seemed that for a weekend outing, it might make more sense to focus on jeans and flat sandals, so I did! I also added this cute new bag to the ensemble and it makes it so functional (my jeans don’t have functional front pockets – clearly I didn’t sew them *smile*). What do you think? Wait, what – who said SALE??? Well, last words – pattern is on sale for under $10 – which is an absolute STEAL! If you are interested (and you must be if you read this far) – feel free to click this link* (affiliate link) to check it out for yourself! *This post contains affiliate links – if you click on one of the marked links and make a purchase, I will receive a small contribution to my pattern and fabric fund – I thank you in advance! Every time I read your blog it makes me happy. You do the BEST projects! Now I’m off to investigate stretch linen – never knew there was such a thing! Good grief -that stretch linen is $3 a yard!!! Thank you, thank you, THANK YOU!!! Oh I love your Chai Shirt!!! And the styling is perfect! You have so much patience for muslins and pattern adjustments. I wish I did. I so want to be you when I grow up. And the gathering under the bust is awesome. One of my favorite blouses ever had that. Your whole outfit is so cute of you!